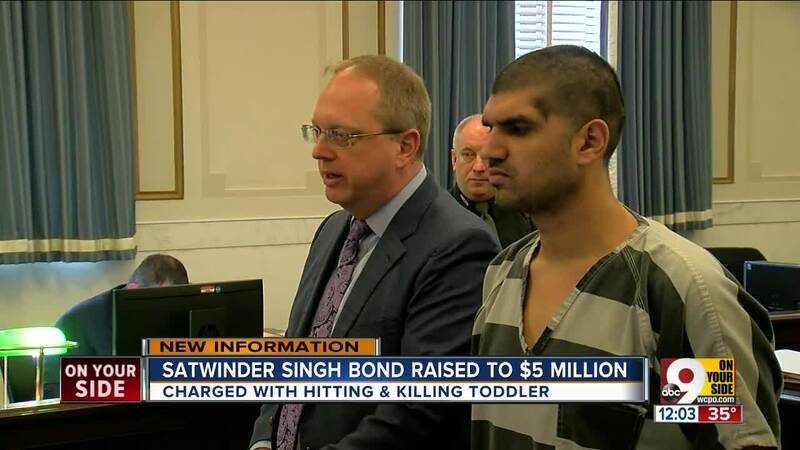 Hamilton County Common Pleas Judge Leslie Ghiz increased the bond from $1 million to $5 million for Satwinder Singh, the 31-year-old driver accused of jumping the curb and hitting 2-year-old Dameon Turner Jr. as he was being pushed in a stroller. That's after he was arraigned on new charges including two counts of aggravated vehicular homicide and failure to stop after an accident. Police say Singh was impaired when the boy was struck on the Hopple Street Viaduct. Dameon died at the hospital on Dec. 31., one day after the crash. CINCINNATI — Hamilton County Common Pleas Judge Leslie Ghiz increased the bond from $1 million to $5 million for Satwinder Singh, the 31-year-old driver accused of jumping the curb and hitting 2-year-old Dameon Turner Jr. as he was being pushed in a stroller. That's after he was arraigned on new charges including two counts of aggravated vehicular homicide and failure to stop after an accident. Police say Singh was impaired when the boy was struck on the Hopple Street Viaduct. 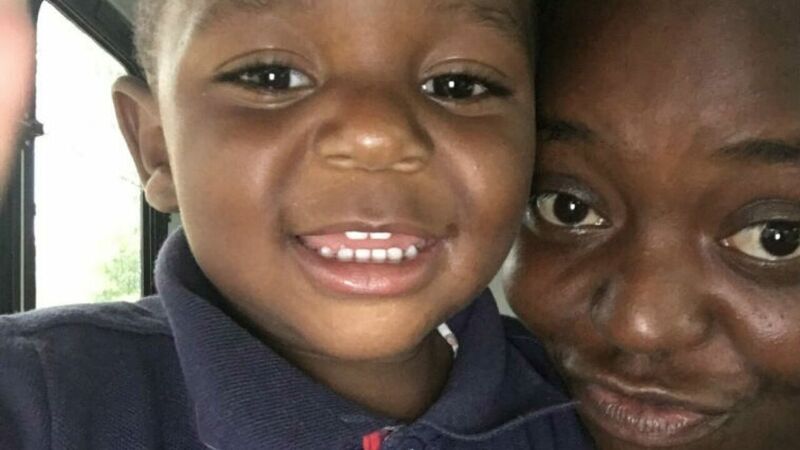 Dameon died at the hospital on Dec. 31., one day after the crash. Prosecutor Matthew Broo said Singh initially stopped the vehicle to speak to the boy's parents, but then he took off. "The defendant actually stopped his motor vehicle, indicated to the parents, 'Find a way to the hospital, I'll follow you there.' Parents were taken to the hospital with their child by a good Samaritan that happened to stop," Broo said. Instead off stopping, Broo said Singh left the scene and was later arrested at a nearby gas station. Police say they had to give the suspect Narcan, a medication used to block the effects of opioids. "He was presumptive positive for amphetamines, presumptive positive for benzodiazepines, presumptive positive for cocaine, presumptive positive for opiates, presumptive positive for fentanyl," Broo explained in court. If Singh does make bond, Ghiz ordered him to be on house arrest and wear an electronic monitoring bracelet.